Trevor Hildenberger has yet to complete two full professional baseball seasons, but the right-handed relief pitcher for the Chattanooga Lookouts already has made two all-star teams and is experiencing an ascension with no end in sight. 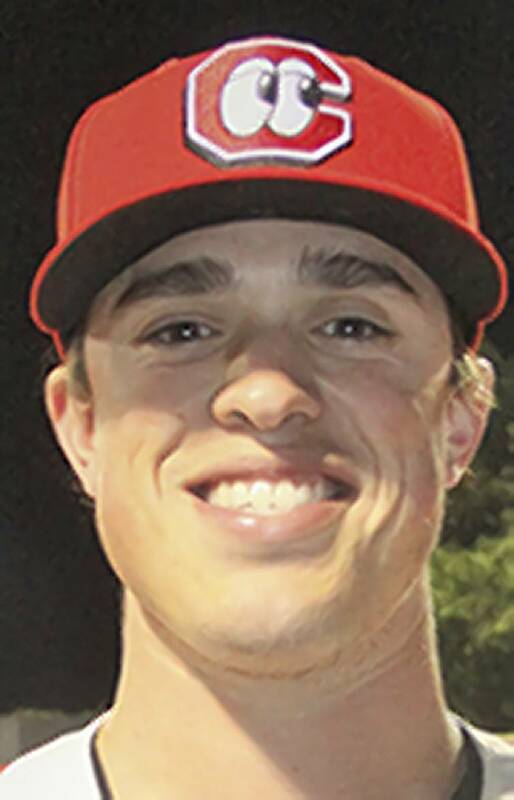 The 6-foot-2, 211-pounder from the University of California was a Midwest League all-star last summer with Single-A Cedar Rapids (Iowa) and represented the Lookouts last week at the Southern League all-star event in Mississippi. Hildenberger was promoted to Double-A three weeks into the season after starting out in the high Single-A Florida State League and entered Wednesday night's series in Pensacola, Fla., with a 2-2 record and a 1.03 ERA in 21 appearances with the Lookouts. "If he's not in the big leagues by the end of the year, I'll be surprised," Lookouts second-year manager Doug Mientkiewicz said. "He's the only guy we have called up to Double-A and it hasn't fazed him one bit. You just love his demeanor and his ability to pitch. "He knows what he's doing, and his numbers show it." Hildenberger entered Wednesday night with 12 saves, ranking second in the Southern League, and he had compiled 29 strikeouts in 26 Double-A innings. The 25-year-old from San Jose, Calif., insists transitioning to a higher level hasn't been as easy as it looks. "It actually was a tough adjustment those first few innings, because the strike zone is a little tighter and hitters have better approaches," Hildenberger said. "The first adjustment I had to make were on the first pitches. I couldn't attack with the fastball every single at-bat, especially once I started facing people more than once. "I had to throw a changeup or a slider, but ever since that, I've been able to mix my three pitches and throw them for strikes to keep guys off balance so far." Compared to last year's talent wave that included Byron Buxton, Miguel Sano and Max Kepler, Hildenberger would be a much more unlikely tale should he get promoted from Chattanooga to the Minnesota Twins. Hildenberger was just a 22nd-round selection in the 2014 draft, though he isn't using that as motivation. "I don't think I should have been drafted any higher than I was," he said. "I was pretty average in college, and the Twins took a chance on me. I've been able to improve, and hopefully I can keep getting better. I've learned a lot here about the mental approach to the game, and the coaches have helped me learn after every outing." Hildenberger, who loves going to Cal basketball games during his offseason, earned Midwest League honors by going 2-1 with an 0.80 ERA in 28 games before his promotion to Fort Myers. He wound up with 17 combined saves a year ago, which led the Twins organization. Though his numbers have been impressive — he has recorded 109 strikeouts in 90 innings since the start of last season — Hildenberger isn't getting consumed by what he has put down on paper. There is too much else to think about when he's on the mound. "When it's late in the game with runners on, you need to execute a pitch to a certain spot and know where to miss," Hildenberger said. "You can't miss over the plate, because they punish mistakes here like nowhere else I've ever been. Missing low and away on a fastball is way less dangerous than missing up and out over the plate. "Hopefully, I can keep doing the job when they hand me the ball."